Super bright colors designed for clear, bright and musical sound. 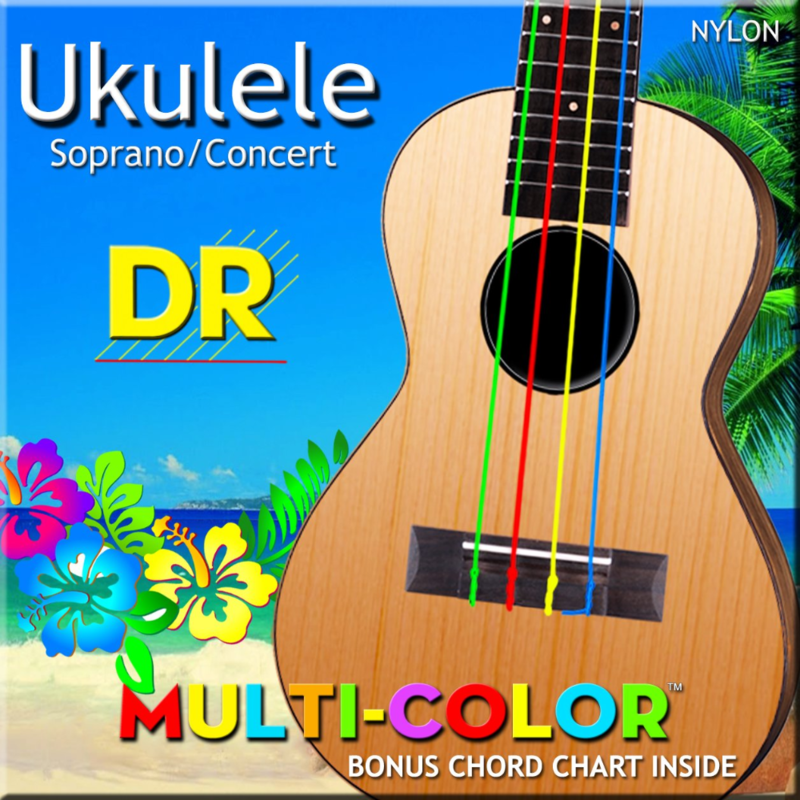 Multi-color strings... 4 strings, 4 colors... make learning Ukulele fun. Learning is easy. Everyone loves color. A Ukulele set up with a multi-color strings says to the student, "It easy." A guitar with ordinary strings challenges students. Imagine, how clear and easy to understand a teacher who says "3rd finger on the 2nd string, on the 4th fret."